Burri studied in Zurich, Switzerland at the School of Applied Arts from 1949 to 1953, where he worked under Hans Finsler, Alfred Willimann and Johannes Itten. From 1953 to 1955 he began working as a documentary filmmaker while completing military service. During this time he also began working with Leica cameras. Then he worked for Disney as a cameraman until 1955. From 1956 to 1959 he traveled extensively to places including Turkey, Egypt, Syria, Iraq, Jordan, Lebanon, Italy, France, Spain, Greece, Brazil, and Japan, which led to publications in Life, Look, Stern, Paris-Match, Epoca, and New York Times, as well as a photographic essay "El Gaucho" which appeared in Du. Burri first began working with Magnum Photos in 1955 through Werner Bischof, becoming a full member in 1959 and being elected chair of Magnum France in 1982. His first report "Touch of Music for the Deaf" on deaf-mute children was published by Life. In 1965 he assisted with the creation of Magnum Films which lead to his work on the Magnum-BBC joint production of, The Two Faces of China. In 1967 he produced a documentary on the Six-Day War in Jerusalem for German television. He produced the film Jean Tinguely in 1972. In 1963 Burri was working in Cuba when he was able to photograph the revolutionary Che Guevara; these images of Guevara smoking a cigar have become iconic. Notably, after taking the photos, Burri remembers Guevara "scaring the hell out of him". Describing a situation where an angry Che was pacing his tiny office like "a caged tiger", while being interviewed by an American woman from Look. While "hectoring" the reporter and "chomping on his cigar", Che suddenly looked Burri straight in the eye and told him "if I catch up with your friend Andy, I'll cut his throat" (while slowly drawing his finger across his neck). Andy was Andrew St. George, a fellow Magnum photographer, who had travelled with Che in the Sierra Maestra, and then later filed reports for American intelligence. The largely unpublished colour photographs of the world's greatest living humanist photographer. Born in Switzerland in 1933, René Burri first picked up a Leica during his military service. One of the remarkable things about Burri?s career, was that from the mid-1950s he worked with both black and white and color. Often, Hans-Michael Koetzle writes in his essay that accompanies Burri?s new book, Impossible Reminiscences, photographers are great at one or the other, or move on from black and white to color and seldom look back professionally. '[Burri] did the one without abandoning the other,' Koetzle writes. Impossible Reminiscences features more than 170 of Burri?s lesser-known color images, drawn and edited by Burri from his archive over the course of eight years, and accompanied by his personal reminiscences. Last year marked the fiftieth anniversary of the inauguration of Brazil’s capital Brasilia. Designed by architects Lúcio Costa and Oscar Niemeyer, it has since become one of the most famous and widely studied urban planning projects. Niemeyer’s cathedral, Catedral Metropolitana Nossa Senhora Aparecida; his building for the national parliament, the Congresso Nacional; and the city’s 707-foot television tower have become icons of twentieth-century architecture. The entire city, marked by its cross-shaped layout and vast open spaces, was named a UNESO World Heritage site in 1987. 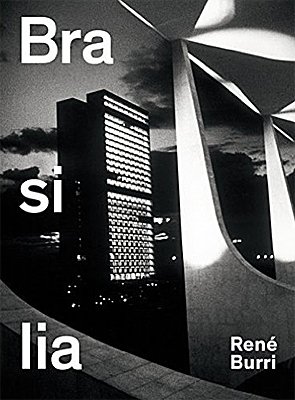 René Burri, an internationally celebrated Swiss-born photographer and member of the legendary Magnum agency, visited the city for the first time on a long journey around South America in 1958, when most of Brasilia was a vast building site. 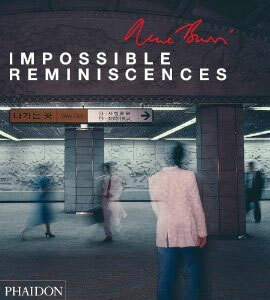 He returned many times over more than thirty years, documenting the growth and development of this urban utopia. Besides documenting the buildings in various stages of completion, Burri took portraits of Niemeyer and his workers and photographed Brasilia’s street scenes and people: workers with their tools, machinery and building materials, pedestrians on the newly finished streets and squares, and aerial views from the air of the city’s first slums abutting brand-new blocks of residential buildings. His images capture the strong sense of a new era and a vibrant atmosphere of hard work and strain; they reflect the huge dimensions of the landscape and the great scale of this project and its ambition to design and build a new capital—and fill it with life. 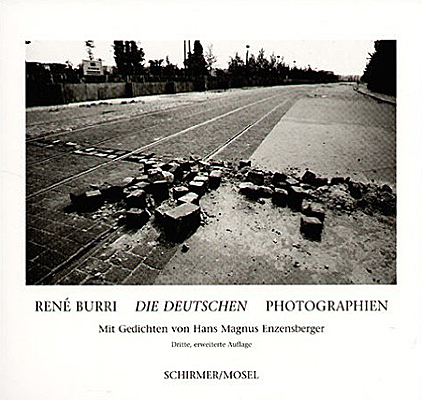 Complete with an essay by eminent architect and scholar of architectural history Arthur Rüegg, René Burri. Brasilia marks the city’s fiftieth anniversary and allows readers to look at an extraordinary city through the eyes of an exceptional photographer. 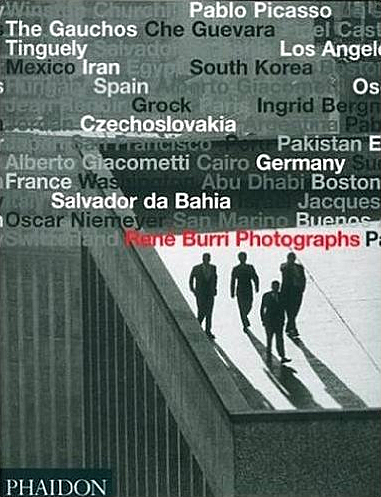 "Rene Burri Photographs" is the culmination of several years of scholarly research by Hans-Michael Koetzle into Burri's important contribution to reportage photography. The book begins with an introduction that describes the history, politics and artistic influences that have coloured Burri's work. Each of the 22 chapters that follow it is accompanied by a brief essay that gives an overview of the images in that particular section, the time period and political climate. Each page is also accompanied by extended captions explaining the images.